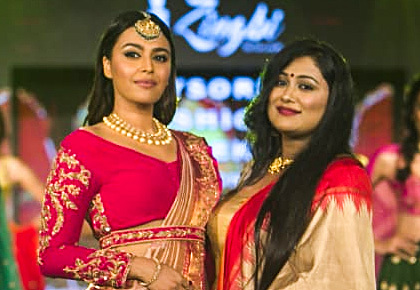 Rediff.com » Getahead » Swara, do we hear wedding bells? Your search for the ultimate wedding style ends here. 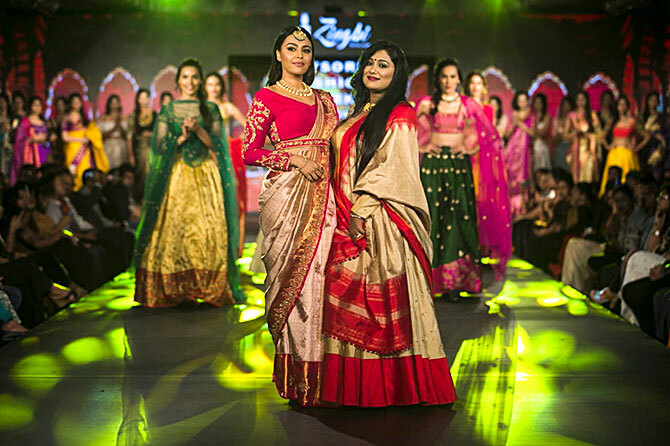 The three-day Mysore Fashion Week saw some stunning showstoppers. 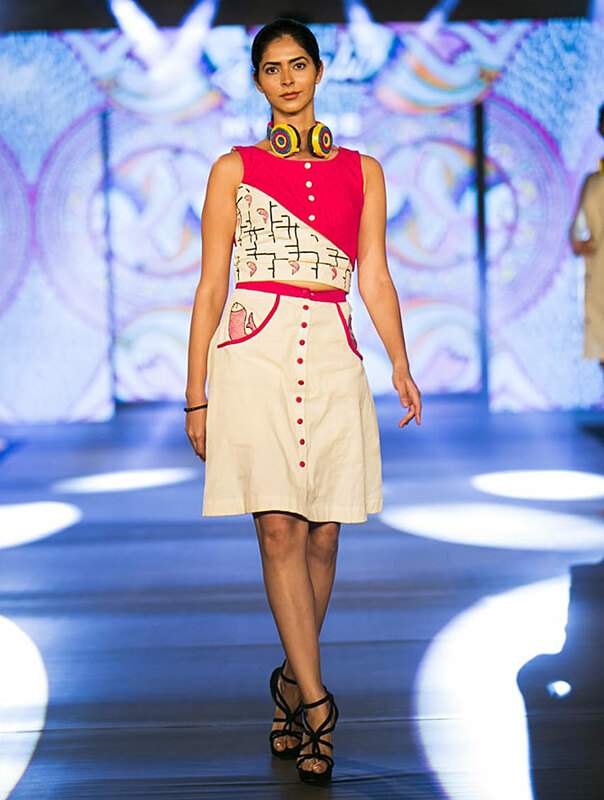 Kriti's collection was inspired by the royal art and culture of Jaipur. 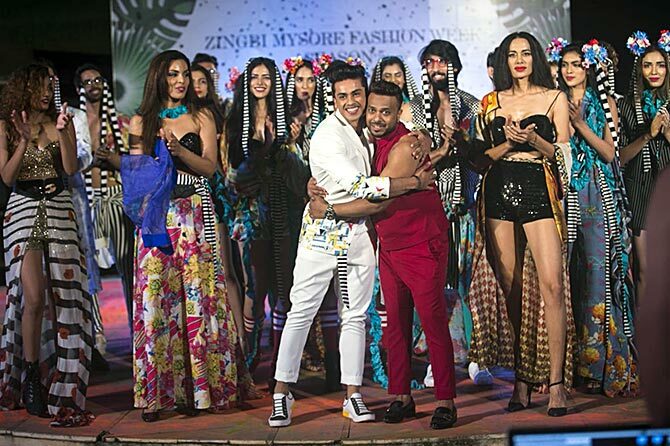 Choreographer and winner of Dance Deewane, Kishen Bilagali was excited to make his debut on the ramp for Ken Ferns. 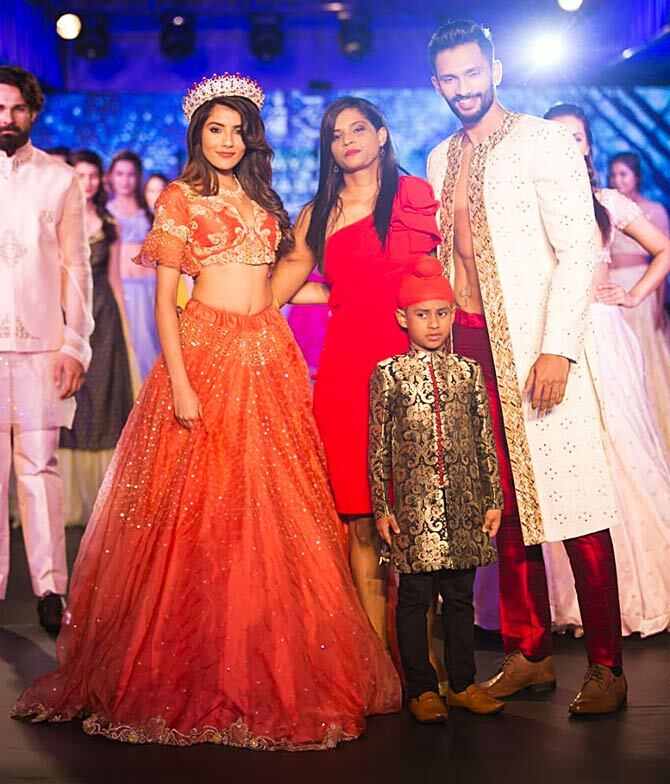 Mr India Prathamesh Maulingkar and Miss Supranational India Aditi Hundria looked fabulous in their showstopping designs put together by Maini Jayesh. There was plenty inspiration for men on how to dress up for the next big wedding. 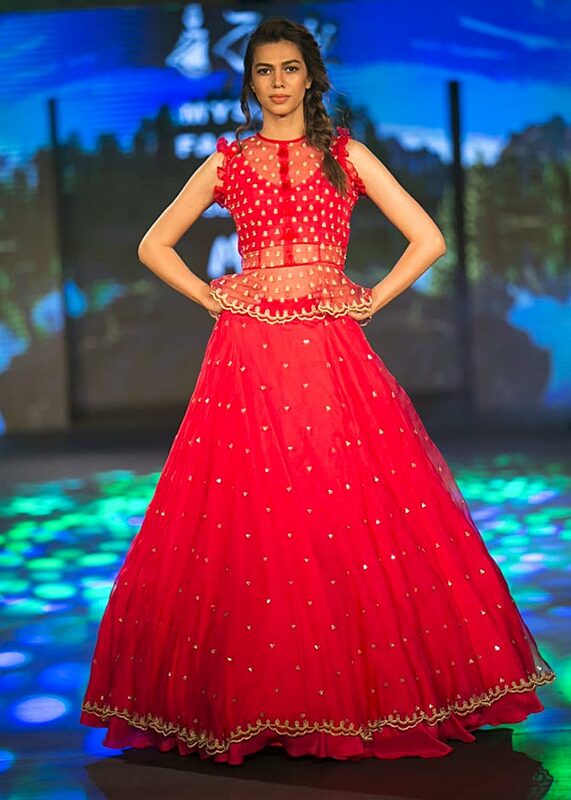 Bright red lehengas were paired with sheer and embroidered tops. 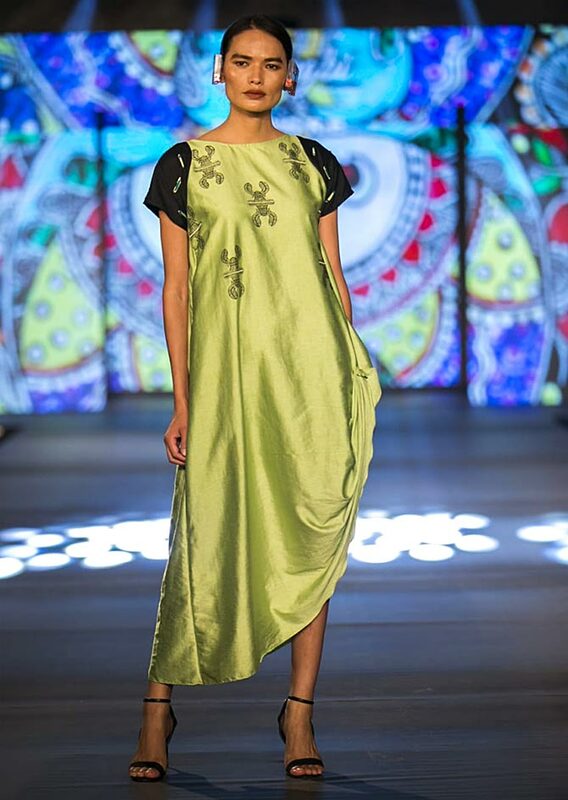 The designers played with silk and hanwoven embroidery to create modern silhouttes. There were casual creations as well. 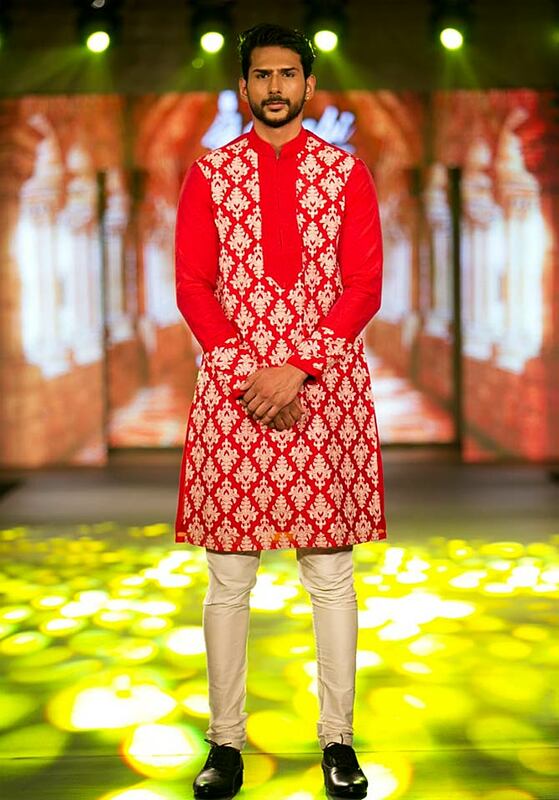 See how monochrome worked its magic on the ramp.